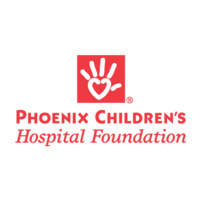 Thanks to Brighton Jones, you're invited to join Phoenix Children's Hospital's Emerging Leaders for a special evening engagement to hear from Dr. Boerwinkle, who has pioneered the application of functional MRIs to guide neurosurgical destruction of brain tissue causing epileptic seizures. Unlike any prior technique, Dr. Boerwinkle has successfully targeted the precise area causing the seizure – greatly increasing the epilepsy cure rate – while preserving all other brain functions. Refreshments, hors d'oeuvres, beer and wine will be served while engaging in conversation with this world-renowned physician. Space is limited, so RSVP today! Complimentary visitor parking is available in the Thomas Garage just west of 20th Street on the south side of Thomas road adjacent the main hospital lobby. Please CONTACT US with any questions! We look forward to seeing you there!